The Siberian Husky is a medium-size, dense-coat working dog breed that originated in Initially from eastern Siberia. The breed belongs to the Spitz genetic family. It is recognizable by its thickly-furred double coat, sickle tail, erect triangular ears and distinctive markings. Huskies are an active, energetic and resilient breed whose ancestors came from the extremely cold and harsh environment of the Siberian Arctic. Siberian Huskies were bred by the Chukchi of Northeastern Asia. The dogs were imported into Alaska during the Nome Gold Rush and later spread into the United States and Canada. They were initially sent to Alaska and Canada as sled dogs but rapidly acquired the status of family pets and show-dogs. 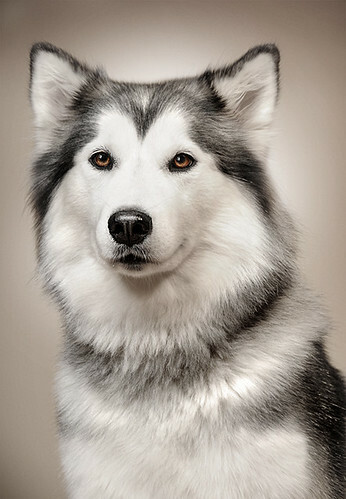 One Response for "Siberian Husky"
Siberian Husky – Good Animal News was a very useful read….